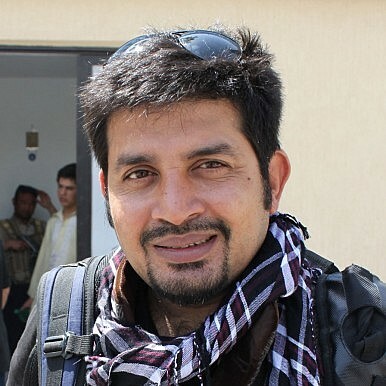 Indian Decade contributor Sanjay Kumar discusses his recent visit to Afghanistan and the challenges of being a reporter there. You’ve traveled to Afghanistan a number of times and have just returned from a visit there. Is there anything you noticed that seemed different this time? I’ve been travelling to Afghanistan since 2008, and every trip has puzzled me. Additionally, you end up learning something new every time. My latest journey has been a profound eye opener. The activism of women’s groups has become a newly visible phenomenon in the country. If there’s one segment of Afghan society that has been a real beneficiary of the post-Taliban political arrangement in Kabul it is women. Kabul now has an all-female internet cafe, a feminist weekly paper, a driving school for women, and organizations like Afghan Medica that have been very active in the field of female empowerment. While I was there I attended one of the parliamentary committee meetings at the National Parliament chaired by Fawzia Kofi, one of the most active legislators in Afghanistan. At the meeting, she called the Religious Affairs Minister and the chief of mosques in Kabul to present a case about a recent incident in which a religious leader had called for the beating of a woman by her husband from the pulpit of a mosque. At the committee meeting, there were many female activists who were very angry over this kind of behavior, and they also took the time to outline many instances of domestic violence in the country. One of the suggestions that the committee offered was to have a separate mosque for women or for existing mosques to set aside separate space for women to pray independently of men. On the same evening as the conference, I was at Fawzia Kofi’s office, which is next to her home. More than 300 men came to meet her and sought all kinds of favors from the parliamentarian. In Taliban-era Afghanistan, such a scene where men were making requests of a woman would be almost unheard of. But the country is slowly but steadily shedding its cloak of conservatism. Moving forward, a new and assertive Afghan woman is emerging. At the same time, it’s these women who seem to be more concerned about the consequences of the withdrawal of the international troops in 2014. Most of the young girls and women’s groups I interacted with feel a sense of despondency and uncertainty about the future after the 2014 withdrawal. What are the biggest challenges for you in reporting from Afghanistan? As a journalist, the foremost task is to find a reliable guide in Afghanistan. A local contact is an asset who can eliminate the language barrier and navigate quite well in a difficult or confusing situation. Next, having a responsible driver to take you around is a must. A good and trustworthy local driver will avoid driving through dangerous areas and will be your safety valve in certain situations. Some of the journalists who were kidnapped in the past became victim to disloyal drivers who made a deal with the Taliban or some other insurgent groups that kidnap foreigners for ransom. Finally, maintaining a low profile is important. It’s always advisable to return to the hotel or wherever you are staying once the work is over. Unnecessary roaming around attracts attention and isn’t good. Do you usually travel alone or as part of a group of media? Do you have to take any particular security measures? All my trips to Afghanistan have been in a team, which helps a lot. It’s always good for somebody close to you to know where you are working at any time. Keeping your team members in the loop about your activities is crucial for when a shootout or battle occurs while reporting – you might get picked up by the police or National Directorate for Security, the government intelligence wing. In that case, it becomes imperative for your other team members to know your whereabouts and get in touch with the concerned parties for securing your release. During my latest trip to Kabul, I was with other team members doing a story near the police headquarters. A local policeman spotted us and asked us to come to police HQ, where it took at least 45 minutes to convince the officials that we weren’t a threat. In that situation, my Indian identity comes in handy. Police don’t usually suspect an Indian to be indulging in any kind of nefarious activities; however, a Pakistani typically finds it much more difficult to get out of that situation. Once the police gave us clearance, the NDS wanted to question us and know about our activities. It took more than two hours of waiting inside the NDS office before we were let go without any questioning once the officials were convinced that our credentials were genuine. In such a situation, your other team members come in handy as they mobilize support and get in touch with the right officials to bail you out. Since my visit this time coincided with the NATO conference in Chicago, security was very tight in Kabul. You could see plainclothes police personnel and intelligence agents everywhere, watching everyone’s activities. What was your impression of the public mood in Kabul? I got to interact with quite a cross section of the people in Kabul and in other places. There’s a perceptible sense of anxiety among the locals about the situation in the face of the impending withdrawal of international troops. The educated young people who have been working as professionals are looking for opportunities to go abroad to build their future in a foreign country. I heard a journalist working with the BBC in the regional language recently migrated to a third country with his wife and child. Women are also apprehensive about the unfolding political situation. Their main concern is whether or not the Taliban could take over the country. I met some young, educated women who said they are getting ready to go abroad. Generally, when foreign troops leave their country of occupation, people celebrate. But the larger Afghan society isn’t doing that. They feel that international troops are leaving them in a vulnerable state. The gloom was also noticeable among the people who have been working with the foreign agencies and now face the prospect of losing a well paid job. Some of them have already lost their job as many international NGOs have left the country in the past year. They fear that if the Taliban takes over, or if the Taliban’s influence increases in the country, then they would be marked as having worked with the foreigners and could face prosecution the way it happened in late 1990s. The young are anxious to leave and the people in general don’t want foreign employers to abandon them. Others are going as far as selling off their homes to settle abroad. In the past decade, Afghan youngsters have been exposed to the outside world. Many of them travelled abroad and saw freedom and development in other countries. When they return, they will want the same lifestyle of mobility and interaction. But as they come back, the young are finding it frustrating to live in a controlled yet uncertain situation. With access to the internet also opening a new world for the next generation, they will want their country to open up and claim the freedom their people used to enjoy a few decades ago.